Luckily, there’s always something you can do today to prevent wind and hail damage in the future. Follow these three basic steps to ensure that your roof will withstand any hail storm that passes through your neighbourhood. At Ideal Roofing, we recommend making semi-frequent assessments of your roof’s general health and wellbeing. Paying particular attention to your roof's flashings is of monumental importance when assessing how hail resistant your property is. Ensuring your flashings are in pristine condition and undamaged will help prevent further overall damage during a hailstorm. Not all roofing materials are made equally when it comes to their protection against hailstorms. 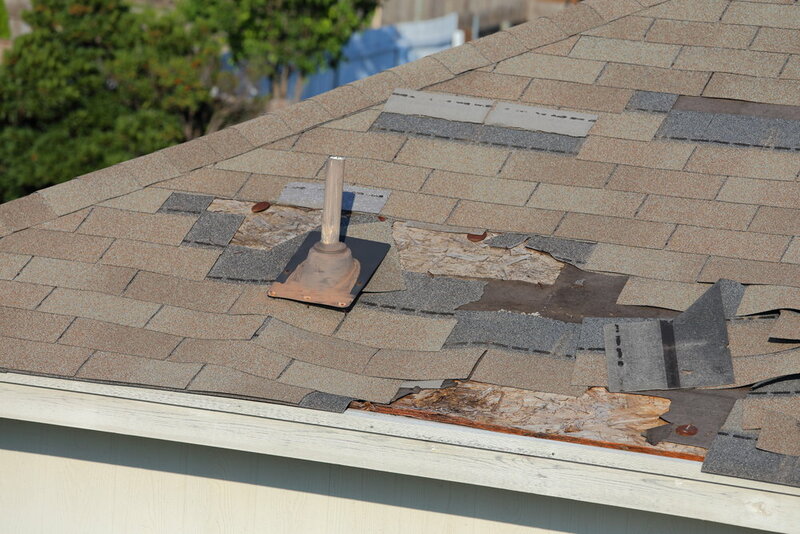 Clay tiles, for instance, are famously brittle and ineffective after being hit by hail of any size. Meanwhile, asphalt-based roofing performs far better and is historically effective, even in the wake of hail. While not as steadfast as some asphalt roofing, metal sheets are a good hybrid that will cover you in many different circumstances. Metal roofing has the potential to dent under severe hail, but it is generally strong and reflexive against most grades of hail. Balanced with its other great properties, this makes metal roofing a strong choice for wet weather. Choosing roofing that is wind resistant is absolutely essential to ensure the safety of your property during any kind of stormy weather. When searching for appropriate roofing materials, you should balance the pros and cons in regards to different facets of a storm. Clay tiles, for instance, are remarkably effective when safeguarding against hail while also being quite poor in extreme wind. Not only are they susceptible to fall off in high winds, but they can also turn into dangerous projectiles once this happens. Metal roofing is seen as the premier roofing option when it comes to the wind, boasting the ability to withstand winds of up to 180 – 260 km/h. After making a rough initial assessment of your property, we advise you to contact a professional roofing contractor to get the complete picture. They will be able to answer all of your burning questions and properly advise you on how to best balance your largest roofing concerns. For complete roofing assessments and advice in Sydney, look no further than the experts at Ideal Roofing. Contact us to speak to our friendly staff today.